Nissan has teamed up with ELLE, one of the most successful and best-selling fashion magazines in the world in order to develop a limited edition of their city car. 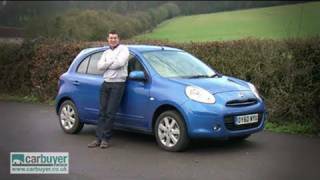 The Nissan Micra ELLE 2012 comes with lots of equipment alongside new stylish features that that makes the car more appealing to those who would like a more exclusive ride. The ELLE is based on the mid-range Acenta variant and so it comes with a generous list of standard equipment, including keyless entry, a push start button, automatic air conditioning, electrically heated and folding side mirrors, cruise control and a speed limiter. This special edition is motivated by one of two lively 1.2 liter engines developing either 80 or 98 PS. The first 1.2 liter unit is a normally aspired 3-cylinder petrol unit that delivers 80 PS, whilst the more sophisticated 1.2 DIG-S direct injection petrol unit develops 98 PS and produces merely 99 g of CO2 per km. As a result the DIG-S equipped ELLE can go from 0 to 62 mph in 11.3 seconds and offers a top speed of 112 mph. Fuel efficiency is yet another strong point and this particular Micra will cover 68.9 mpg thanks to the "Pure Drive" engine technology that manages to bring fuel consumption down and lower the taxes at the same time. A few other features included in the ELLE variant as a standard includes the stylish chrome accents on the front grille, a panoramic sunroof, a new set of 15-inch titanium grey alloy wheels, a roof spoiler and a set of fog lamps. 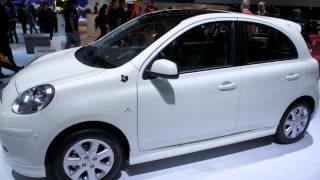 Those interested in purchasing the Micra will have a choice of three exterior colors including Shiraz Red, Atlas Blue and Alabaster White. On the interior a new upholstery design and the Nissan Connect satellite navigation system is optionally available for purchase. 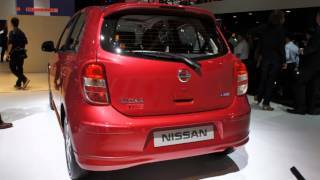 The Chief Marketing Manager for Nissan in Europe characterized this particular car as a great ally to dynamic and ultra-busy women that spend their entire day juggling work, friends, family and other activities. Nevertheless, only 500 units will be built so in case you're looking to buy one make sure you'll not going to miss your opportunity. 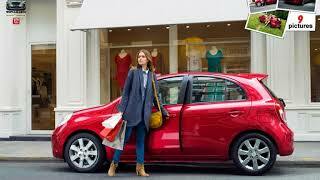 The Nissan Micra ELLE 2012 goes on sale on September 1st in the UK with the base price of £12,000. If on the other hand you would prefer the alternative, you might want to look into the Hyundai i20 or the Suzuki Swift.